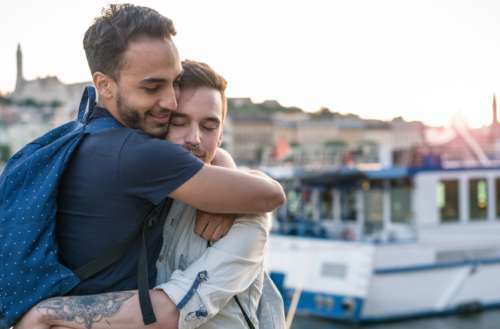 There’s a new LGBT cruise setting sail this fall, courtesy of LGBT-friendly hotel chain Axel Hotels and one of Europe’s largest cruise companies, Dreamlines. The first voyage of Open Sea Cruises is scheduled to take guests on a wild eight-day expedition. Sailing from Sept. 29 through Oct. 6, 2018, on the Pullmantur Zenith, the adventure leaves Barcelona, Spain, and makes multiple stops in France and Spain, with a two-day stay in Ibiza. The boat will be the first LGBT cruise driven by a Spanish company, with a capacity of more than 1,400 passengers and 720 cabins. Open Sea Cruises x Axel will make stops for a week in the most exotic destinations of the Mediterranean: Barcelona, Ajaccio, Toulon, Palamós and Ibiza. What exactly does the Pullmantur Zenith have to offer guests? Once onboard, guests are invited to various activities, including cooking workshops, conferences, boot camp, yoga and meditation sessions. After the sun sets, it’s all high-energy evening affairs with local bars and dance venues that are accompanied by contestants from RuPaul’s Drag Race All Stars. One of the main attractions of this new cruise will be the striking offer of shows and internationally renowned artists in its programming (to be unveiled in the coming weeks). For more information on this new LGBT cruise, or to book a stateroom, visit the Open Sea Cruises x Axel website.